Sandy Koufax hurled his baseball glove and spikes into the trash can at Memorial Coliseum in Los Angeles on the last day of the season, Oct. 2, 1960. He ended the year 8-13, in frustration. The 24-year-old left-hander gave up 100 walks in 175 innings. Over his first six seasons in the majors, Koufax mustered a 36-40 won-loss record with a 4.10 ERA. He gave up a whopping 405 free passes in 691.2 innings. What did the 683 strikeouts even matter? Koufax paid the price for being a so-called bonus baby. Dodgers signed him for a $6,000 salary, plus a $14,000 signing bonus. Because Koufax’s bonus exceeded $4,000, he could not be sent to the minor leagues for at least two years. He couldn’t develop his incredible skills. So, the hard-throwing prospect, playing in his hometown of Brooklyn, sat on the bench and waited. And waited. He pitched 41.1 2 innings in 1955, 58.2 in 1956. Manager Walt Alston didn’t trust Koufax, according to many reports. Other Dodger players resented that Koufax took up a roster spot and rarely saw any action. Sandy Koufax festered. This says something about early Koufax: He made his first career start July 6, 1955 against the Pittsburgh Pirates. He lasted 4.2 innings and walked eight (On the upside, he gave up just one run and three hits in the 4-1 loss.) He didn’t make another start until Aug. 27. On that day, he tossed a complete-game, two-hit shutout against the Cincinnati Reds for his first major league win. He struck out 14 and walked five. Koufax threw hard. And harder. He reached back for something extra. If that didn’t work, he reached back again for something more. He threw wild high, wild outside, wild everywhere. 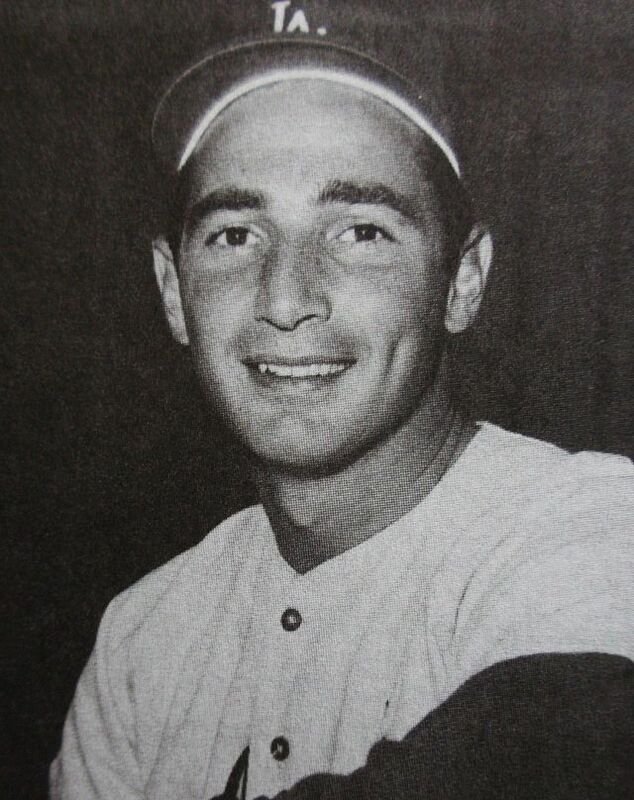 Several years into his career, even as the Dodgers moved from Brooklyn to Dodgers following the 1957 season, Koufax continued to struggle with his control. Midway through the 1960 season, Koufax pleaded to Dodgers executive Buzzie Bavasi. Jane Leavy reported in Sandy Koufax: A Lefty’s Legacy that Bavasi never came close to dealing the team’s struggling young pitcher. But, would Koufax simply quit baseball? He did own an electronics store. What did it mean when he tossed away that glove and those shoes? Was he really through? Well, Koufax didn’t like selling stuff, according to the Leavy book. Instead, he worked hard in the offseason to get into great shape and reported to spring training in Florida with a new commitment. He began warming up with Dodgers catcher Norm Sherry. Stop trying to throw the blasted ball through a wall of steel, Sherry said. Just trying getting it over the plate. Don’t throw harder, throw easier. “Take the grunt out of the fastball,” Sherry advised, according to Leavy. Soon enough, Koufax discovered the strike zone. He fired heat at the edge of the zone. He broke off some of the most mind-boggling curveballs in big-league history. A legend was being made. Over the final six seasons of his career (1961-66), Koufax went 129-47 with a 2.19 ERA. He struck out 1,713 batters in 1632.2 innings and walked only 412. In his 211 starts, Koufax completed 115 games and threw 35 shutouts. The Hall Famer (1972, first ballot), won three Cy Young awards and hurled four no-hitters. He led the Dodgers to three National League pennants and two World Series championships. And that glove and those spikes that he dumped? Equipment manager Nobe Kawano fished them out of the trash can. He figured that Koufax would be needing them. Cy Young threw the first perfect game of the modern era, May 5, 1904. Kenny Rogers tossed a perfect game on this date in 1991. The Texas Rangers left-hander struck out eight and threw 98 pitches in setting down all 27 California Angels hitters at the Ballpark in Arlington. Rogers’ perfecto was the 12th in the major leagues since 1900. The Montreal Expos’ Dennis Martinez threw his perfect game, the 11th of the modern era, exactly three years before Rogers. He beat the Los Angeles Dodgers 5-0 at Dodger Stadium. In honor of July 28 being a perfect day of sorts for perfect games, I’m posting a perfect trivia package. You can read about some of the greatest-pitched games in MLB history. You’ll find 21 bullet points below, in honor of the 21 complete games of the modern era (1900 and after). The Boston Americans’ Cy Young threw the first post-1900 perfect game. He beat the Philadelphia A’s 3-0 on May 5, 1904, at the Huntington Avenue Grounds in Boston. 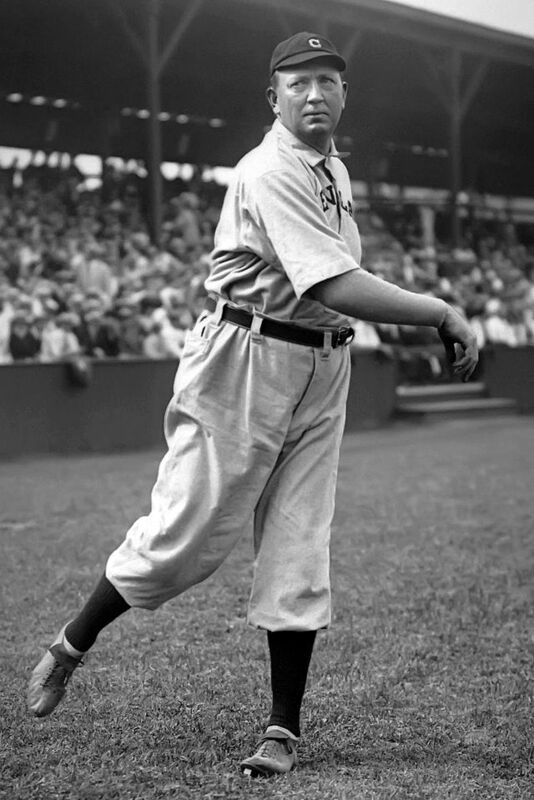 The Chicago White Sox’ Charlie Robertson threw his perfect game in just his fifth career appearance, April 30, 1922. Robertson’s won-loss percentage of .380 (49-80) is the lowest of any perfect-game pitcher. Jim Bunning’s perfect game on June 21, 1964, for the Philadelphia Phillies was the first of the modern era in the National League. Sandy Koufax struck out 14 batters in his perfect game, including the final six. Six Hall of Famers have thrown perfect games in the modern era (Young, Joss, Jim Bunning, Koufax, Jim “Catfish” Hunter and Randy Johnson). Young, of course, has the most wins of any perfect-game pitcher, 511. Philip Humber has the fewest, 16 and counting). The New York Yankees’ Don Larsen threw the most famous perfect game in MLB history, Oct. 8, 1956, in Game 2 of the World Series against the Brooklyn Dodgers. He went with a no-windup delivery throughout the game. Talk about a bounceback start. Larsen went just 1 2/3 innings in his Game 2 start and gave up one hit, four walks, and four unearned runs. Baseball went more than 34 years between Robertson’s perfect game (April 30, 1922) and Larsen’s (Oct. 8, 1956). Conversely, baseball waited less than three weeks between Dallas Braden’s perfect game (May 9, 2010) and Roy Halladay’s (May 29, 2010). Records do not indicate how many pitches that Young hurled in his perfect game. Of the others, Joss threw the least, 74, and Cain threw the most, 125. Talk about pressure. Six perfect games have ended 1-0. Four have ended 2-0. Cain’s game was the biggest blowout, 10-0 against the Houston Astros. In Koufax’s perfect game, opposing pitcher Bob Hendley of the Chicago Cubs gave up just one hit in his complete-game effort, to Lou Johnson in the seventh inning. The Dodgers scored their lone run in the fifth inning. Johnson walked, went to second on a sacrifice bunt, stole third and scored on an error by Cubs catcher Chris Krug. 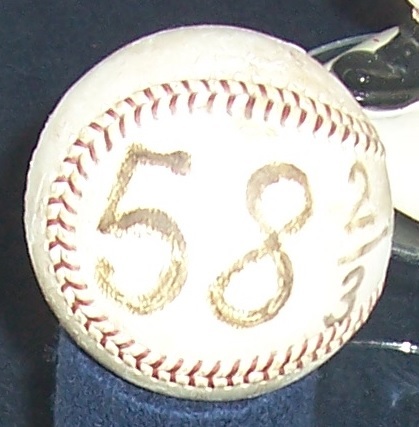 Bunning threw his no-hitter on Father’s Day (June 21, 1964). Braden threw his on Mother’s Day (May 9, 2010). 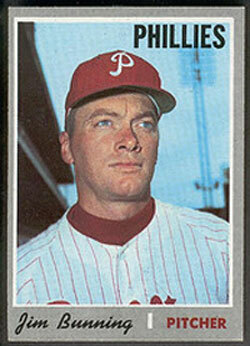 Jim Bunning tossed his 1964 perfect game on Father’s Day. Hunter was the youngest pitcher to throw a modern-day no-hitter, 22 years, 30 days. Johnson was the oldest, 40 years, 256 days. Tom Browning’s perfect game on Sept. 16, 1988, came against the Los Angeles Dodgers, the team that went on to the win the World Series, the only time that has happened. Mike Witt threw his perfect game on the last day of the regular season for the California Angels. David Wells graduated from Point Loma High School in San Diego, the same high school as Larson. They could swing the bat, too. Hunter (3 RBI), Bunning (2) and Young (1) all drove in runs in their perfect games. 2012 was a perfect year. Three pitchers threw perfect games in 2012—Humber (Apri 21), Cain (June 13) and Felix Hernandez (Aug. 15). Pitchers have thrown three perfect games against the Tampa Rays (also, the Tampa Bay Devil Rays). They also have thrown three against the Dodgers, who have been around a little longer. The Yankees have the most perfect games (Larson, Wells and David Cone). Sandy Koufax compiled a 129-47 won-loss record in his final six seasons with the Dodgers. Sandy Koufax went 27-9 in 1966 with 317 strikeouts and a career-best 1.73 ERA. 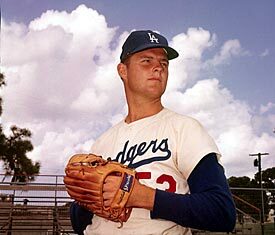 In his final start for the Los Angeles Dodgers, he gave up one earned run in six innings, in Game 2 of the ’66 World Series. Soon after, he called a press conference for Nov. 18 at the Beverly Wilshire Hotel. One of the greatest left-handed pitchers in baseball history announced his retirement, six weeks shy of his 31st birthday. His elbow hurt like the devil, arthritis had kicked in, and he wanted to play golf. Flashbulbs popped at the Beverly Wilshire, reporters scribbled notes, and Koufax said, “I have taken too many pills and too many shots.” … “I’ve got a lot of years to live after baseball, and I would like to live with the complete use of my body.” No one from the L.A. front office attended the press conference. The baseball writers elected Koufax to the Hall of Fame in 1972, in his first year on the ballot. To this day, he gets his just due as a baseball legend. He is bigger than life, just like Willie Mays, Bob Gibson and Hank Aaron. OK, but. Did Koufax need to win another Cy Young Award? He was the first to win three. Did he need to throw another no-hitter? He was the first toss four. He set a National League record with 382 strikeouts in 1965. He led the N.L. in ERA five straight seasons (1962-66). He led the league in strikeouts four times, WHIP four times and wins three times. He won the MVP in 1963 and was runner-up in ’65 and ’66. He threw a perfect game Sept. 9, 1965, against the Chicago Cubs. Although he was just 4-3 in World Series play, he had a .095 ERA in 57 innings (61 strikeouts and just 36 hits allowed, a 0.825 WHIP). Koufax also inspired some pretty good quotes, both from the competition and from the Dodgers. Of course, the Koufax legend is built around the 1961-66 seasons. He went 129-47 during that run with a 2.19 ERA. He struck out 1,713 batters in 1,632.2 innings. Not surprisingly, Koufax made the All-Star team in each of those six years. Koufax didn’t need to do anything more than he already did in his amazing career. He did more than enough.